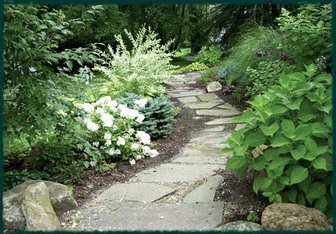 Karen Shreefter Landscape Design provides professional landscape design consultations in the Berkshires. We work with our landscape design clients to create and install captivating landscapes and gardens in the Berkshires. Through our landscape design projects in the Berkshires in Massachusetts, Connecticut, and New York, we have discovered with just simple steps a home’s appearance, beauty, and welcoming feeling often improves significantly. This discovery led to establishing Welcome Home®, landscape consultations to boost home sales. Our Welcome Home® services for Berkshire real estate agents and others selling homes in the Berkshires helps attract buyers by decreasing clutter and increasing first impressions.